The Linderud Senter Shopping Mall situated in Oslo, has 60 stores and houses offices for a wide range of healthcare services. The newly refurbished shopping centre covers five floors and is 32,000 m2. Following their refurbishment the Linderud Senter wanted a combined Wayfinding and advertising system that was reliable, had low maintenance costs and would keep content update costs to a minimum. It was decided the sign should be double sided with one side interactive for a Wayfinder and store adverts, and the other solely for full screen advertising. The ONELAN digital signage system and Urbanview Signboard were chosen by the Linderud Senter as its fully flexible system offers a Multi-Zone screen design giving the ability to run advertising, as well as Wayfinding with Touch Interactivity. Specifically this meant advertising content could be updated and scheduled entirely separately from the Interactive Wayfinding content. A single zone system based exclusively on Flash was rejected due to the cost for content changes and time to update. Touch capability - interactivity on the Wayfinding system brings another dimension to the screen and involves the customer, thereby attracting them to the advertising. Multi-Zone - different Zones in each screen can be dedicated to different media and Playlists. This allows huge cost-savings when advertising needs to be updated, as only the Advertising Zone of the screen has to be changed without impacting the Wayfinding Zone. Reliability, ensuring low maintenance costs – operating on a Linux base ensures reliability reducing the number of site visits needed. Proof of Playout – ONELAN's auditing capability means it is possible to follow what media is being played, when and where, allowing The Linderud Senter to guarantee visibility to their advertisers. The Marketing Co-ordinator was very pleased with the ability to publish by date and time in order to ensure that the commercials are up-to-date during holidays. “One of the stores in Linderud Senter registered a visitor increase of 50% from one week to the next when their commercial was shown on the Signboards” said Irene Karstad, Shopping Mall Manager, Linderud Senter. ONELAN have signed up a new distributor, Grupo Clan in Chile to increase their coverage in this region. Established in 2004, Grupo Clan are a leading supplier of Digital Signage and In-Store Music Services. Grupo Clan chose ONELAN Net-Top-Boxes for the following reasons: They are based on a Linux Platform, they are reliable with a small form factor, and offer multiple-zone options. This distributor has been successful in overseeing ONELAN installations in large retail chains in Chile such as Paris.cl. At ISE 2010, Stand 12 E84 ONELAN will be focussing on Digital Signage and our latest software updates, and IPTV Omni-Server. ONELAN develops network appliances for standalone and end-to-end Digital Signage network solutions. The Net-Top-Box is a mul­timedia, multi-zoned solution capable of dis­playing stored media and live media e.g RSS feeds, webpages and broadcast or locally streamed TV. With a browser based user inter­face, the system is fully multi-lingual including all main European languages, and Korea, Chinese, Japanese and Arabic. Further mem­bers of the product family cater for Enterprise network management, Touch applications and integration with external data sources. ONELAN IPTV Omni-Server is a single box solution for networked delivery and storage of free-to-air digital (DVD-T and DVD-S) TV content. Another feature is for Analogue video Encoding. An analogue source e.g Live TV camera or output of a satellite set-top-box, can be encoded to an MPEG2 stream and multicasted onto an Ethernet network. For broadcast distributed TV there is also typically a Web accessible Electronic Program Guide (EPG) feature that allows a user to choose a TV program (or series of programs) to be transmitted at some time in the future and have them automatically recorded to disk. In a school or college this can be used to record educational TV programs, and replay video content to the classroom or directly to student PCs. At BETT, ONELAN will be showcasing Digital Signage, Video Streaming, Lesson Capture and its latest Digital Signage IPTV Gateway products for education and illustrating how these solutions can enhance the learning experience. ONELAN will be demonstrating the simplicity of getting started with the Net-Top-Box digital signage media player at two box to screen demos on Wednesday 13th and Saturday 16th January. ONELAN Digital Signage is used in Education, from Primary Schools through to Higher Education establishments. Through the use of screens placed in reception areas, staff rooms, canteens and student accommodation, Digital Signage is a proven method for communicating information instantly across an entire site, replacing existing noticeboards with dynamic, eye catching screens that can show everything from lunch menus to pupils’ work and details of after-school clubs. 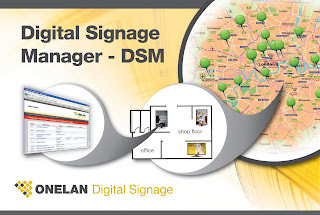 ONELAN Digital Signage is pleased to announce the Digital Signage Manager (DSM), an Enterprise class solution for Digital Signage networks. The DSM is an Enterprise class solution for management of larger Net-Top- Box (NTB) Digital Signage networks. It has been developed with the needs of larger retail and advertising client networks in mind and existing partners already providing digital signage as a service using ONELAN web based Net-Top-Box (NTB) systems. Historically known for smaller networks, ONELAN now has a number of retail and advertising led networks based on the robustness of its Linux based player. The release of the DSM gives these clients the tools they need to manage and grow their networks and takes ONELAN into new territory as far as competing for larger Enterprise projects. The DSM is a multi-client system with individual user credentials for each customer network. It is scalable and has been tested for multiple users on networks of up to 1000. NTBs operate in ‘dial-out’ mode for easy monitoring from behind firewalls. Existing customers can try the DSM with up to 5 NTB players free of charge. The DSM is designed for monitoring channels of NTBs. To ensure a NTB network is working smoothly, the live operational and environmental health of the network is reported on with regular status reports and email alerts when alarms are raised or lowered. By using the DSM Standard Report, the progress of NTB Channel Manager Publish and Subscription operations can also be easily monitored. Reports may also be created for specific operational needs. The DSM can act as a Virtual Private Network (VPN) server, allowing groups of NTBs to join a network of Secure Capped VPN tunnels. The (VPN)-in capability helps to avoid costly site visits as it enables remote configuration and maintenance. An authorised operator of the DSM can access remote NTBs even if they are located behind firewall-routers. This facility significantly reduces the need for onsite maintenance, and therefore reduces on-going operation cost and increases uptime. The DSM also provides summaries of what media has played at each remote NTB or group of NTBs. This feature gives proof of performance reporting for all scheduled media, eg proof of advert playing. ONELAN have signed up a new distributor, RPS Audiovisuales, in Spain to increase their coverage in this region. Established 16 years ago, RPS Audiovisuales have a stronghold in the Spanish Audiovisual market, selling into a large number of sectors including Education, Government and Public Administration, Hospitals, and Hospitality. Due to the growth in demand for digital signage in Spain, RPS Audiovisuales needed a simple to use solution that does not rely on Windows, and have chosen ONELAN’s Net-Top-Box to exploit this opportunity. ONELAN have signed up a new distributor, VideoPro in Australasia to increase their coverage in this region. VideoPro are a leading supplier of advanced presentation technologies for the Education sector. They offer specialist advice, installation, on-site training and specialised education pricing for schools, training institutes and universities. The partnership has got off to a flying start with ONELAN installations in Scots College, Wellington & Kristin School in Albany, Auckland. On Wednesday 4th November ONELAN co-hosted their Annual Technology Event for resellers with ONEMedia, Smart E, ONELAN Digital Signage and ONELAN IPTV at Beaumont House, Old Windsor. The event was an enormous success with numbers up by over 40% on 2008, drawing resellers from not only across the UK, but from as far afield as Chile and the USA. Highlights of the day were the new products on show, including ONELAN’s IPTV Streaming, Digital Signage Manager and Data Capture Engine. While the seminars were an opportunity for resellers to learn more about ONELAN’s latest products, technology and markets, the event was also a valuable opportunity to network. A single box solution for capturing, collating and re-purposing data held in external systems for display on a ONELAN Digital Signage System in graphical form. ONELAN Digital Signage announced today that it has signed up Autopack as its new distributor in Singapore. Autopack is a leading barcode and office automation solutions company established in 1989. They offer a diverse range of products from barcode printers, barcode scanners, customised solutions, software solutions, thermal transfer ribbons etc. Autopack’s customers range from small outlets to MNCs and government agencies. Due to the recent rapid increase in demand in the digital signage market in Singapore, Autopack attended 2009 Shanghai Digital Signage Trade Show and talked with ONELAN. Autopack found ONELAN products very simple-to-use, user-friendly and stable, they chose ONELAN as their supplier for digital signage. ‘We believe that Autopack’s previous rich experience will help ONELAN enter the Singapore market and that ONELAN will give the best support for our Singapore customers’, says Bruno Villette, ONELAN China Chief Representative. Digital Signage Specialist ONELAN has installed Net-Top-Boxes throughout the Maldron Hotel chain in Ireland to re-brand in a clear and consistent way. 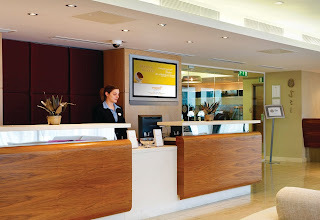 Having acquired nine hotels from the Choice Hotel Group, Maldron Hotels required a visual display in the Reception areas of its properties that would introduce its new brand to visitors to the hotels and, also, provide a variety of information to its customers in a clear, concise and consistent manner. Details to be conveyed included directional information in hotels where meeting rooms or other hotel facilities are located at a distance from the central hotel lobbies. In addition, a notice board facility is required in each hotel to inform guests about events, menus, special offers, etc. A large LCD screen and ONELAN Century Net-Top-Box have been placed in the foyers of each of the hotels, attracting the attention of both resident guests and other customers. The screens show restaurant information, the latest hotel information, welcome messages and directions to meeting rooms. This provides an informative and worthwhile display to be appreciated by all visitors. 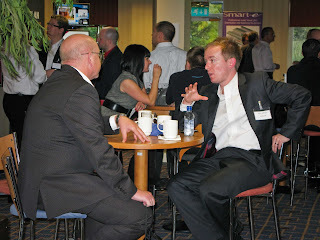 Anthony Murray, Group IT Manager Maldron Hotels. ONELAN was founded in 2000. Since then, it had focussed its development on digital signage, bringing to the market appliances with increasing capabilities. ONELAN is based in UK, near London, where its R&D team has a strong record of product development. 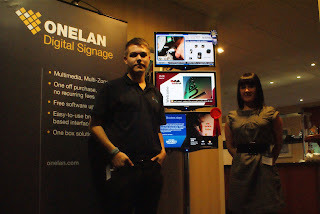 ONELAN was awarded AV Digital Signage Company of the Year 2008 and ranked in the Deloitte Technology Fast 500 EMEA 2008, demonstrating its position among the leading companies in this sector in Europe. What is the plan for ONELAN In the Chinese market? ONELAN started with the UK market where it has been very successful. Expansion into European and US markets followed. ONELAN is also now making inroads into other territories, with different languages and cultural habits. ONELAN is already well accepted in the Arab world and operations are now being concentrated on Asia. Our system is already working with a Chinese language user interface, which is a key advantage; as we want all our users to feel that the ONELAN system is very user friendly, we need to adopt the local language and working habits. We now have our own team based in Shanghai to support our resellers and customers. What are the key features of ONELAN Net-Top-Boxes? ONELAN engineers have spent a lot of time in developing the product to make it easy to use by the end-user, including people who are not IT specialists. The team in charge of the overall management of the digital system network has access to powerful tools enabling them to create the layouts they want, to easily program the schedules they need for all occasions, and to manage the play list of contents that will be displayed in each area of the screen. In addition other individuals can also have rights to update certain content directly from their own computer. Let’s take an example: the receptionist in an organisation has to update greeting messages for visitors which are displayed in a zone of a screen in the lobby. The ONELAN user interface allows the receptionist to do just this in just a few clicks directly from her computer, almost like sending a message via email. Another example: a business manager can share key information or statistics (sales, production, quality records, corporate news) with his team by creating a PowerPoint file and uploading it by a click-and-drag action on his own computer. 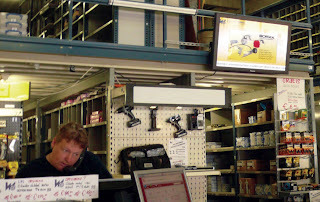 Access to a digital signage display becomes a very natural part of daily work for many people. 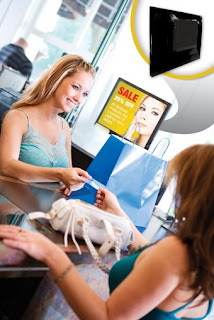 Is it different from other Digital signage solutions? Yes. Most digital signage architecture is based on a centralized server and operated through complex software. The access to the software is generally restricted to the IT team, as it requires intensive training. Therefore, update of any information often requires that an individual sends their request for an update to the network’s centralized management team and waits for it to be done by those specialists. Our experience is that customers are much happier when they have the feeling that they ‘own’ the system: they can interact with it directly and see it as a useful tool to achieve their own duties by communicating information they want, when they want. Do you consider Digital Signage as a tool for productivity? Yes, our customers in Europe think this way. And I am sure it will be the same in China. Maybe, at the starting phase of Digital Signage, it is first considered as a ‘nice to have’ option, giving a modern image. But now screens are everywhere, visitors and passers-by will not notice them if the content is not attractive or never changes. The key thing about digital signage is that you combine several pieces of information in a display: some will attract attention because they are useful (direction info in a public space, message info, time, news feed, weather), some because they are visually attractive (video, animations, or scheduled changes in the layout that bring something new on the screen), and some are messages you want to pass to the viewer: advertising messages, info on new products in a retail or bank, or corporate messages to staff. The return on investment comes from the fact that when the digital signage system is well managed and designed, messages will indeed be noticed by the viewer and generate positive actions like increasing sales, creating better customer or visitor satisfaction and therefore better loyalty, improving productivity and safety in industrial environments, etc. We saw end-users such as banks for example experiencing an increase in business: by using efficient and smart digital signage that answered customers’ questions while they wait, creating more opportunities for them to sign up for new banking products. But the cost of developing new content is high, isn’t it? Yes you are right. Developing new advertising video or new flash animation is not cheap. And to continuously attract attention, you need to renew them frequently. This is where efficient digital signage management software like the one we have developed is a key productivity tool: you can create efficient signage at a lower running cost by allowing the local team to upload practical and relevant information on the display, make frequent updates in very short time and renew the design of the content with minimal workload for the internal marketing team. You can see that some signage systems become obsolete after a few months of use; the customer has no budget to get external marketing agencies to renew the video or flash animation, and the system itself cannot be easily updated by the customer. So the display continues with same content, in a never changing format and visitors or passers-by will soon ignore it, making it a commercial and investment failure. What ONELAN customers value is that they all feel comfortable making full use of their system, and they can easily renew and adapt the content themselves whenever they want, just as they would with any standard electronic document. What are the key sectors using ONELAN systems? Corporate communication to employees and visitors sited in foyers, next to the lifts and in factories is a mainstay of our business. 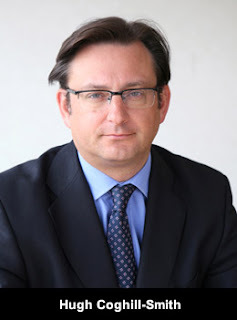 Clients include leading companies such as PWC, Airbus and IBM. A recent key trend has been companies using signage in their factories to promote Health and Safety and give production and safety feedback to factory workers. Universities and education institutions have always been a strong market for Digital signage and many have chosen ONELAN. One simple reason is that in a school, many different individuals want to be able to own part of the display (teachers, groups of student communicating their activities, special events eg competitions, tournaments, concerts). Banking institutions are also important customers in several countries. You can imagine that banks are very cautious when it comes to appliances connected to their networks as they are very sensitive to security. ONELAN systems offer a high level of security to the user: the banks have validated this fact and we are proud to see them adopting our system. But we have also users in many other applications, like hospitals for information boards, and queue management. Or industries such as retail outlets, hotels and conference centers. Do you think the Chinese market is different? Yes and No. Yes the Chinese market is different because of the language, but we have addressed that already: a Chinese ONELAN user operates a system with a Chinese interface. There are also different types of layout content, just as a website in China has a different look to a European one. We let our resellers in China demonstrate to their customers how ONELAN NTBs can fulfill what the Chinese customer wants. The total flexibility in the design and management function of our systems makes it perfectly adaptable. We had the same situation with Arabic countries and it works perfectly well. On the other hand, I think digital signage in China has to face the same situation as everywhere: screens are ubiquitous and expenditure on more screens is a sound investment only if the content can be continuously attractive with content that creates value. Digital signage is much more than just splitting a display into a few zones, it is about making use of this tool to achieve something with strategic value for the enterprise. This is what ONELAN has always kept in mind when developing our products and we can already see that Chinese customers and resellers recognize this value. The reasons why our customers are happy with ONELAN in many countries will also apply in China. ONELAN has extended its global reach with an impressive increase in export sales. The company’s export strategy formulated last summer focussing on making the user interface work in multiple languages e.g Arabic, Chinese, Japanese has been very successful, and has paid dividends particularly in the Middle East. Sales are growing strongly despite the global economic crisis, with export sales to the end of June already exceeding the total for 2008. 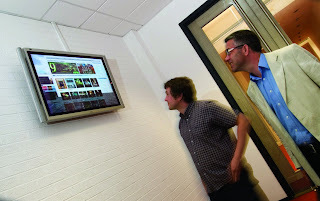 July 2009…… Digital Signage Specialist ONELAN has installed Net-Top-Boxes throughout Avanta’s serviced offices for a consistent corporate look and feel. Avanta provide a range of services, from serviced offices to virtual offices to ad-hoc meeting rooms. They offer these services in prime locations around the UK and in India. Customers can hire rooms either by the hour, weekly, monthly or yearly. The customers maybe large corporate firms who need to have extra space or small one-man-bands looking to hold professional meetings for a morning. They were looking for a consistent corporate look and feel, throughout all their offices. However they needed to have a means to be able to adapt their foyer environments suitably for their ad-hoc customers as and when required. It was felt that there was also a need to supply information relevant to the businesses visiting the offices. It was felt that a Digital Signage Solution would achieve all of the above priorities. ONELAN’s Net-Top-Boxes (NTBs) were chosen as the Digital Signage solution, due to their flexible scaling options and the layout designs available. To reach such a large audience base, the screen layout flexibility and scheduling were of high importance. The ONELAN NTBs allow a screen to be divided up into different Zones, which allow different media formats such as Live TV feeds, RSS feeds, animations, still images and audio. Thereby allowing the flexibility within the Avanta layout to brand the screen appropriately for the visiting customer at that time. 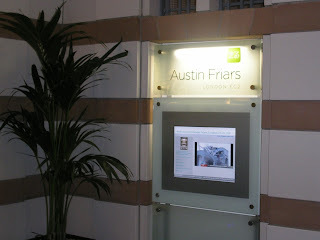 A screen and NTB have been placed in the foyers of each of the office buildings, attracting the attention not only of their customers, but also the visitors from other organisations visiting them. The screens show live satellite feeds, the latest traffic information, welcome messages and directions to meeting rooms. This provides an informative and worthwhile display to be appreciated by any visitor. The ONELAN Digital Signage solution has been of benefit to all concerned and there have been positive comments from customers and their visitors. image has been enhanced with their clients. We are very pleased with the system and are continuing to install in our new offices”. says David Kinnaird, Commercial Operations Director. Low power consumption: using less than 12W, this is a Green solution. Any unit in the series combines with any other ONELAN Net-Top-Box (NTB) from the range to provide a cost effective solution for small to large networks. ONELAN have signed up a new distributor, Peercom in Japan to increase their coverage in this region. PeerCom, Inc. is a private company established in 2003 in Tokyo to sell computer and communication field products by importing advanced products from overseas. Due to the recent rapid demand for digital signage in Japan, Peercom needed a simple to use solution with a Japanese interface to exploit this opportunity, and the ONELAN Net-Top-Box fitted the bill. Digital Signage Specialist ONELAN has installed a digital signage network at The University of Sheffield to facilitate multi-channel communication. At Sheffield University a brand new, futuristic building born out of completely ‘fresh thinking’ concerning learning resources for the 21st century student, and aptly named the Information Commons (IC) was opened on 10th April 2007. The ongoing objective is to ensure the student facilities in the IC remain at the leading edge of student study, comfort and well-being. The IC has quickly become one of the most popular areas on campus with over 1300 study spaces, 500 fully networked PCs and a library with over 100,000 volumes of reference and short loan books including the most popular and heavily used undergraduate texts. The internal signage to the building was obviously a crucial element of the design and the brief was to have a flexible and robust means of delivering a media rich building and general information point to everyone using the building through digital signage. This was even more important as the decision was made not to have any traditional signage in place until after the building had been open for some time. However, the IC is spread over six floors so communication required special consideration. A/V Manager Ian Knowles from the University of Sheffield reviewed the range of potential solutions and selected a digital signage (DS) installation that targets all users of the building - staff, student or visitor – equally, with relevant information for all. Flash animation is used to create dynamic, eye catching displays. When selecting a system, Knowles established that the DS would need to display multiple channels of content with both local and remote control capability. It was also clear that a need for local browser-based text updates existed, and that this function would be actioned by authorised users and terminals within the six IC levels. In addition, all the new AV equipment needed to successfully network with existing infrastructure and previous installations. The system chosen comprised 18 Century Net-Top-Box units from specialist UK DS manufacturer, ONELAN, combined with 18 Samsung LCD monitors to provide a network of remote and locally controlled display sources. The installation was completed in 3 working days and all the digital displays were showing content shortly after. The project has given the Information Commons a unique method of communicating with its users. The IC building serves many needs of the student population including the CILASS on level 1 – two fixed space ‘collaboratories’ purpose built for inquiry-based learning. The dynamic display with multiple channel applications provided by the Century NTBs and viewed on the Samsung LCD units carries the relevant messages very effectively. The IC with secure access is open for business 24/7, the students can study and view the digital signage output. Truly bringing students into the 21st century. ONELAN will be at The Library Show (10th- 11th June 2009) in The Pavilion at the Birmingham NEC with Universal AV on Stand 349. With over 120 exhibitors the show is the annual meeting place for the library community across all sectors - public, academic, education and workplace.